The fun will soar to infinity and beyond beginning this summer with the opening of Toy Story Land. This playful new 11-acre land will transport guests into the adventurous outdoors of Andy’s backyard where guests will feel like they have been shrunk to the size of Woody and Buzz, as they are surrounded by oversized toys. Using toys like building blocks, plastic buckets and shovels, and game board pieces, Andy has designed the perfect setting for this land that includes two major new attractions. Slinky Dog Dash is a family-friendly coaster that will send riders dipping, dodging and dashing around turns and drops through the world of Andy’s toys. Guests can also spin around with little green aliens aboard Alien Swirling Saucers and quick refreshments will be on tap at Woody’s Lunch Box. 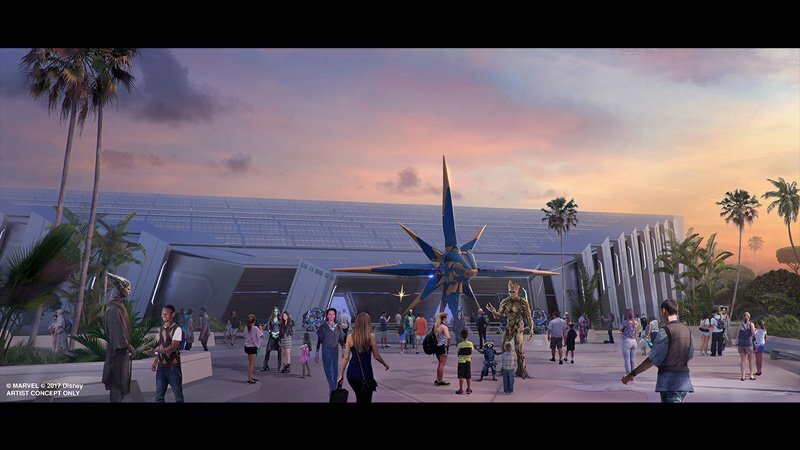 This highly-anticipated new land is set to open in 2019, both at Disney’s Hollywood Studios and Disneyland Park – on a grand scale – including the creation of a full-sized fleet of X-wing star fighters and a life-size Millennium Falcon starship. The totally immersive land will include two jaw-dropping attractions that allow guests to have control of their experiences. One attraction will put guests in the middle of a battle between the First Order and the Resistance—inside a Star Destroyer. 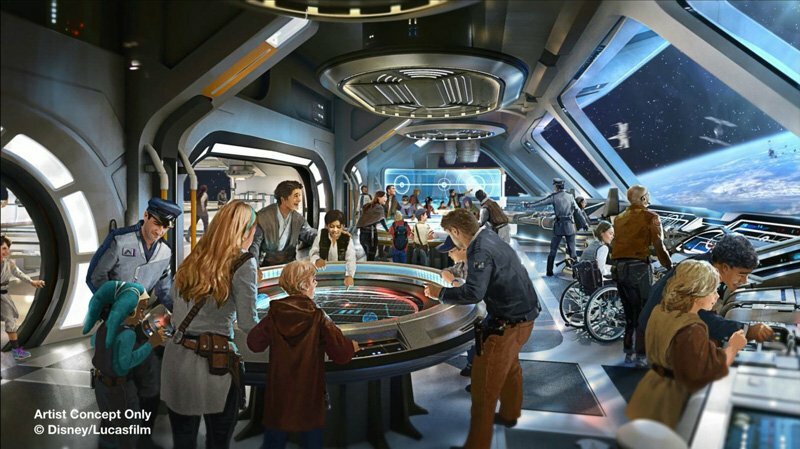 In the second attraction, guests will have the chance to fly the Millennium Falcon – the most famous ship in the galaxy. Throughout the land, guests will also have the chance to interact with Chewie, the lovable BB8 and members of the First Order, plus wander through a toy shop in the street market run by a Toydarian, one of the creatures from Star Wars: The Phantom Menace. Fans can live out their Star Wars adventures beyond the theme parks with an immersive experience at a groundbreaking new Star Wars hotel concept. The epic new experience will take guests to a galaxy far, far away and will be seamlessly connected to Star Wars: Galaxy’s Edge, the new land set to open in 2019 at Disney’s Hollywood Studios. Unlike anything that exists today, the new luxury resort will completely immerse guests in an authentic Star Wars story. The journey through space begins the moment guests arrive, as everyone boards a starship and departs together for a multi-day Star Wars adventure. An opening date for the new hotel has not been announced. The first ever ride-through attraction themed to Mickey Mouse and Minnie Mouse will delight guests at Disney’s Hollywood Studios beginning in 2019. 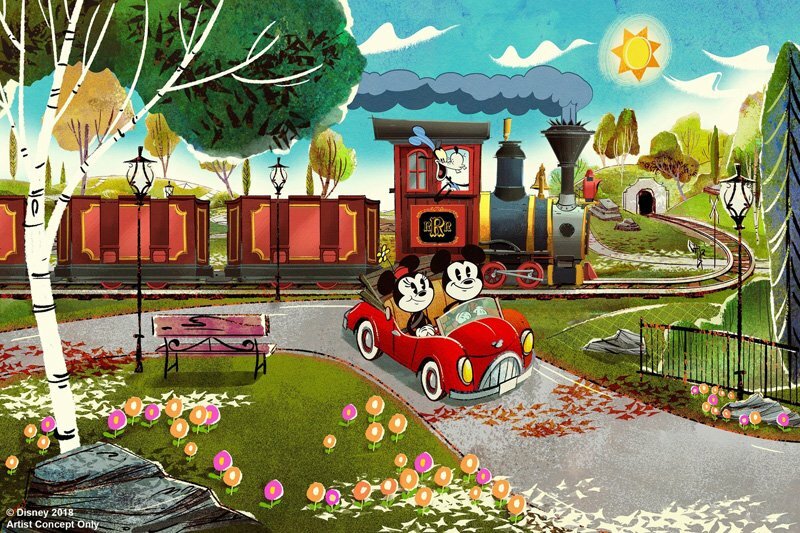 Mickey & Minnie’s Runaway Railway will feature a new original story and lovable theme song, as it takes guests on a journey inside the wacky and unpredictable world of Disney Channel’s Emmy Award-winning Mickey Mouse cartoon shorts. New technologies will transform the two-dimensional cartoon world into an incredible multi-dimensional experience. Just in time for the 20th Anniversary of Disney’s Animal Kingdom, a new, family-friendly show will debut at the theme park April 22. Featuring Russell and Dug from Disney•Pixar’s Up, guests will get a chance to see their favorite Senior Wilderness Explorer and his furry friend as they discover bird species from around the world. Following the news that Walt Disney Parks and Resorts is preparing to incorporate popular stories and characters into Disneyland Paris, Chapek shared that the Marvel Super Hero universe will come to Disneyland Paris’ Walt Disney Studios Park, and Rock ‘n’ Roller Coaster will be totally reimagined as a high-speed, hyper-kinetic adventure where guests will team up with Iron Man and their favorite Avengers. 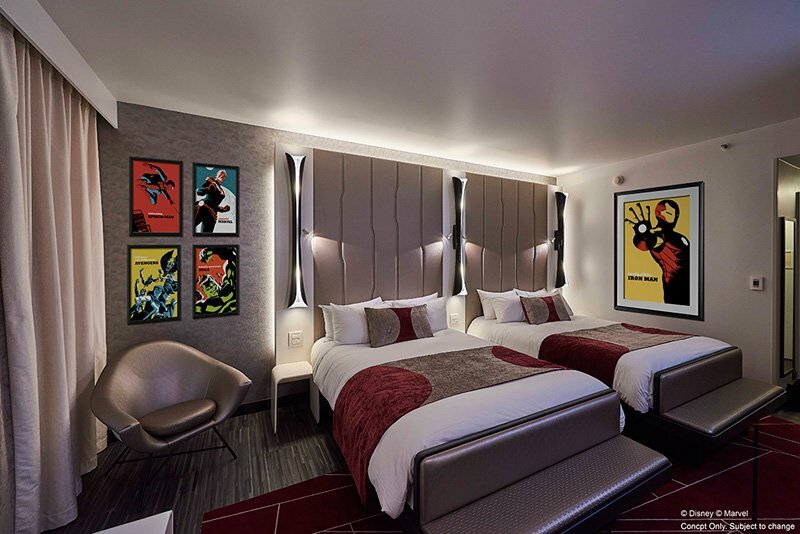 Fans also got a peek into one of the rooms that will open at Disney’s Hotel New York – The Art of Marvel at Disneyland Paris in 2020. And for those guests who just can’t wait to encounter Marvel at Disneyland Paris, starting this June, Marvel Summer of Super Heroes will bring guests face-to-face with Captain America, Spider-Man, Star-Lord and Black Widow. Super Heroes have already descended on Hong Kong Disneyland with Iron Man Experience, the most popular attraction at the resort, and more is soon to come with an entire Marvel-themed area underway. 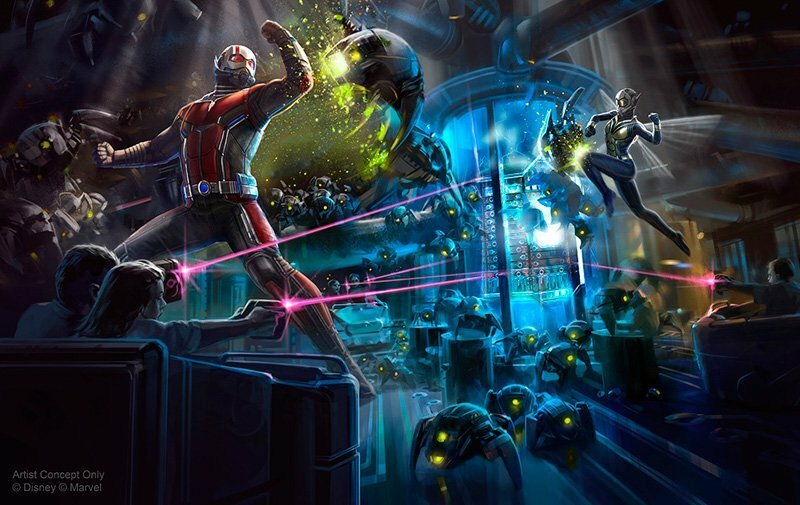 Today, Chapek shared new details about the second new Marvel attraction set for Hong Kong Disneyland, where guests will be invited to team up with Ant-Man and The Wasp to fight Arnim Zola and his army of Hydra swarm bots in a thrilling new adventure. A new Marvel attraction is planned for Hong Kong Disneyland, where guests will be invited to team up with Ant-Man and The Wasp to fight Arnim Zola and his army of Hydra swarm bots in a thrilling new adventure. Larger-than-life Super Heroes will descend upon Epcot with the opening of a Guardians of the Galaxy attraction. Based on the rockin’, action-packed Guardians of the Galaxy movies, this one-of-a-kind family attraction will feature a brand-new, innovative ride system – and will be one of the longest enclosed roller coasters in the world! Coming to Epcot Future World, the new attraction will open in time for the 50th anniversary of Walt Disney World Resort in 2021.